Unfortunately this quality cannot be achieved in real-time. But since Robuskey is accelerated through a CUDA optimized graphic board (Nvidia Quadro oder GTX) only less time is needed for rendering. Your reseller will advise you which graphic board is the best for your purposes. Convince yourself of the reliable quality of Robuskey (in most situations the standard setting is sufficient but there are many more options for optimizing your footage such as masks) by installing the 30 day trial version. 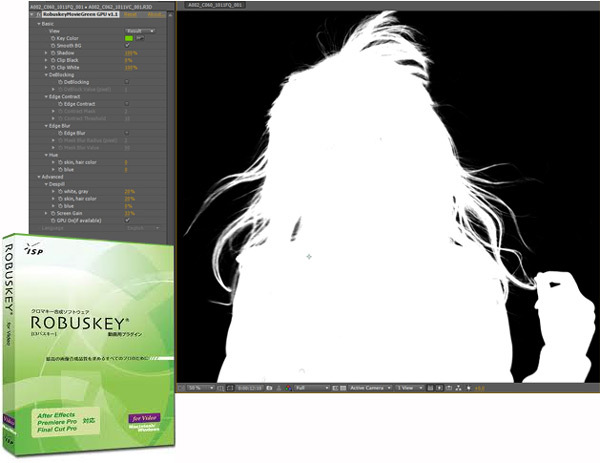 To explore the full range of options Robuskey offers you, you can download some footage to run your own keying tests.